Junipers come in a wide range of varieties including ground covers, shrubs and small trees. Junipers are usually densely covered with needles. Ground covers are mound shaped, shrubs grow in columns and the trees are pyramidal shaped. These narrow-leaf evergreens are aromatic. Junipers are dioecious, which means that the male plants produce the pollen and the female plants produce the berries. 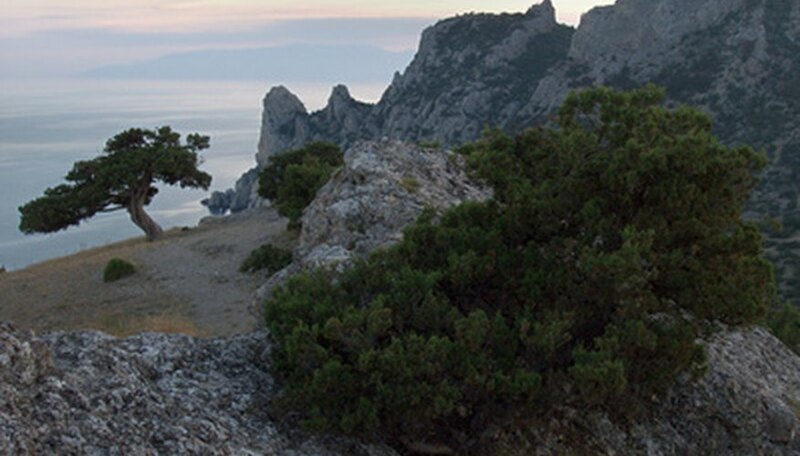 Junipers tolerate hot weather and poor, arid soils. Some junipers will grow well in the shade. Junipers are commonly used as ground covers, hedges, rock gardens and topiaries. Chinese juniper (Juniperus chinensis) is an evergreen shrub that grows into a 60 foot tall tree. Some types grow as a low ground cover. Chinese juniper grows narrow and cone shaped. The needles are blue-green to gray-green. Yellow and orange-brown flowers appear in March. Small, 1/2 inch, pale blue berry-like cones turn dark brown when mature. Chinese juniper enjoys moist, good-draining soil. 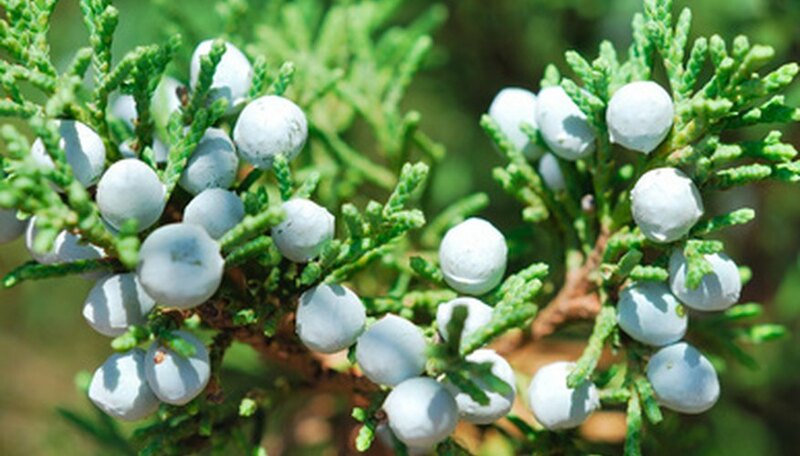 Some types of Chinese juniper include blue point, hetzii, Iowa and keteleeri. Eastern redcedar (Juniperus virginiana) grows as a 50 foot tall evergreen tree 8 to 15 feet wide. This moderate growing juniper has pointed needles that stay close to the stems and overlap each other. The cedar-smelling foliage develops a bronze tinge in the cold weather months. The male flower is yellow while the female flower is green. This juniper flowers late in the winter. The berry-like cones are 1/4 inch across and a waxy, blue color. 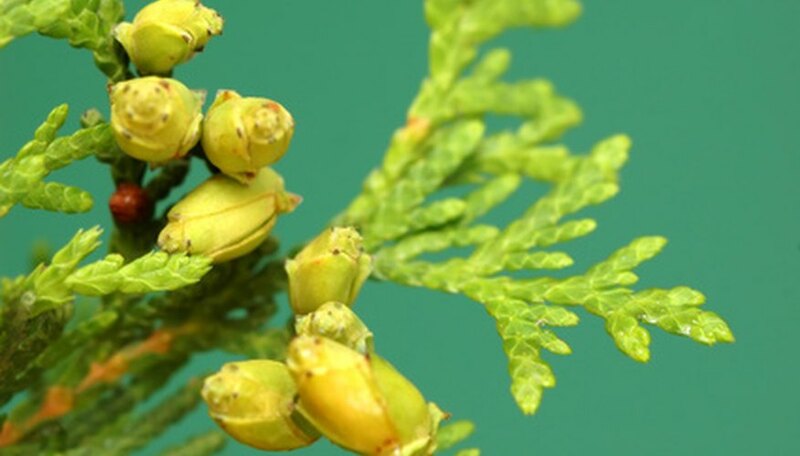 The eastern redcedar is native to east and central North America. It is commonly used as windbreaks, privacy screens and single specimen tree. Some varieties are burkii, canaertii, grey owl and emerald sentinel. Japanese garden juniper (Juniperus procumbens) is a dwarf, evergreen shrub that grows 8 to 12 inches tall. The stiff branches spread 15 inches wide. This slow growing juniper has needle-like leaves. These bluish green needles are blue on the undersides. Japanese garden juniper produces small cones that are 1/3 inch across. This evergreen thrives in full sun and is adaptable to nearly all growing conditions. This plant is commonly used as a ground cover, border plant or rock garden specimen. Cultivars include greenmound, nana and variegata. Rocky Mountain juniper (Juniperus scopulorum) is an evergreen tree with a natural conical shape. It slowly grows 30 to 40 feet tall and 3 to 12 feet wide. The needles stay close to the branches and are deep green to blue-green in color. This juniper produces yellow flowers. Deep blue, berry-like cones take 2 years to mature. This juniper is native to the foothills of the Rocky Mountains where it grows in sunny areas with dry soil on rocky ridges. This tree does not do well in wet soil or in areas with high humidity. Rocky Mountain juniper grows as show pieces, privacy screens, container plants and hedges. Some varieties to use are blue trail, cologreen, medora, moonglow and Wichita blue.